When the original THE TEXAS CHAIN SAW MASSACRE burst onto the screen in 1974, a new horror legend was born, in the form of a mumbling, bumbling, flesh-masked, chainsaw wielding maniac - Leatherface! Seven films and untold gruesome deaths later, audiences can finally find out who lurks behind the mask - and how he got there, in this stylish, scary and blood-soaked prequel. The directors - masters of horror Alexandre Bustillo and Julien Maury - are a perfect fit for the material, having shocked audiences with their 2007 gory Gallic debut INSIDE, described by Twitch as ‘one of the harshest, most brutal and disturbing things to hit celluloid in recent years’. Here, the pair deliver brooding menace and nightmarish psychological horror, all the while ratcheting up the tension to the ninth degree. 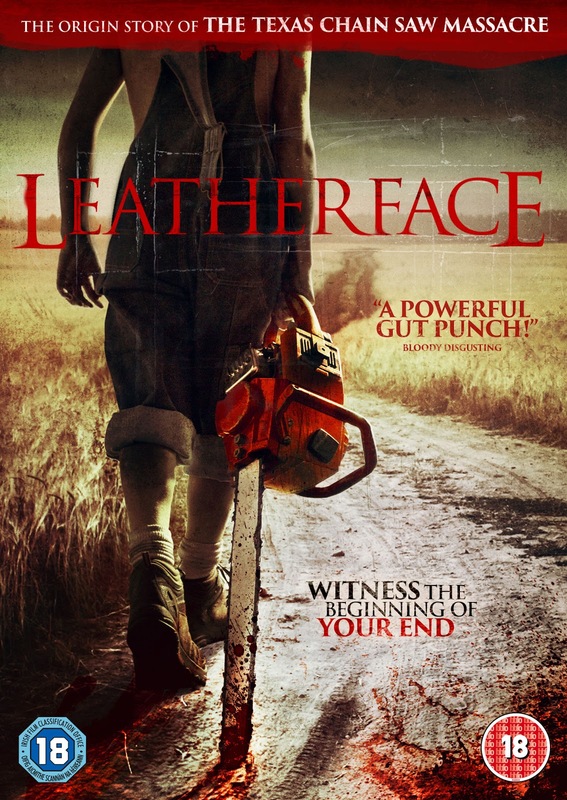 You can read a review of LEATHERFACE by CLICKING HERE where all of THE TEXAS CHAIN SAW MASSACRE movies have also been reviewed. LEATHERFACE releases in the U.K. on EST 18th December 2017, and on DVD 8th January 2018, courtesy of Lionsgate Home Entertainment.